Acoustic & thermal solutions for a busy office. 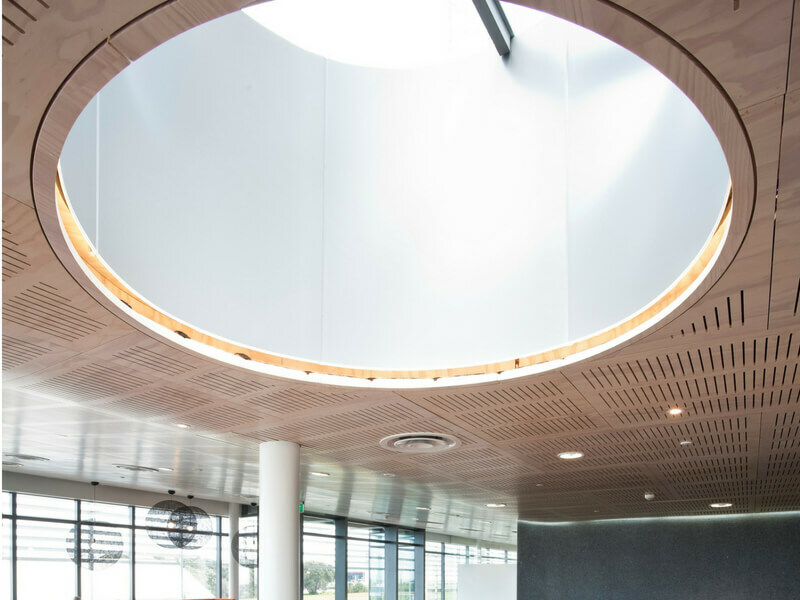 Our polyester insulation was incorporated into the 6100m² Quad 5 offices based in the Auckland Airport business district. A focus of the development was the sustainability of the project and a design centred on the connectedness of teams. 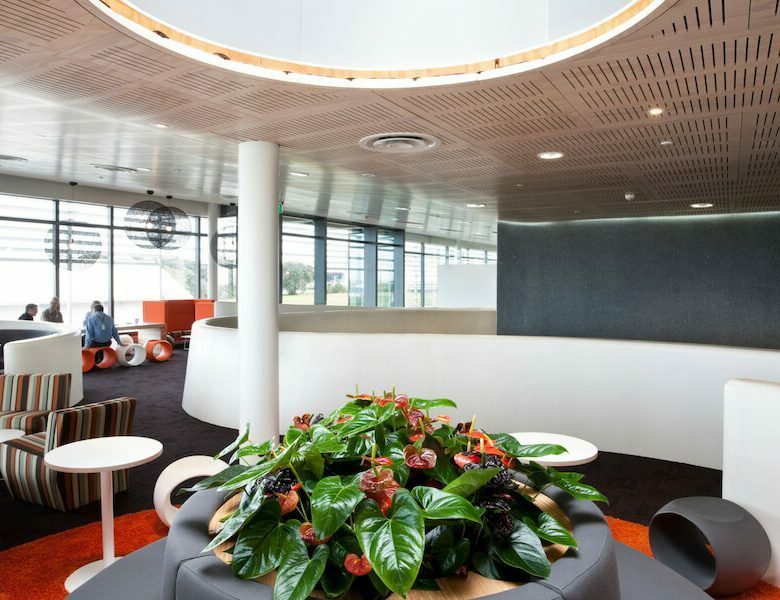 The building achieved a 5 Green Star Office Design Rating. 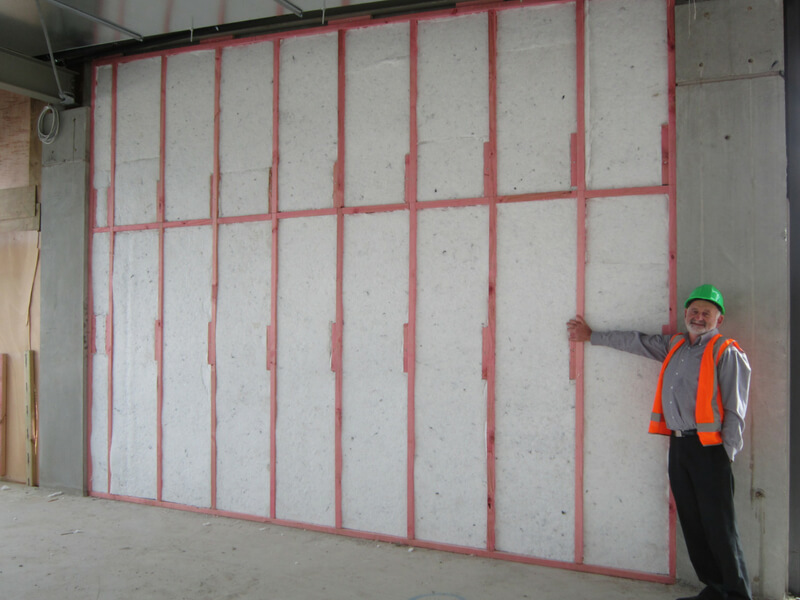 The polyester insulation products were installed by Scarbro Construction and Cape Interior Construction Ltd.
Wall sections installed in the Quad 5 building near Auckland Airport. Our acoustic and thermal insulation products enhanced comfort at Quad 5. 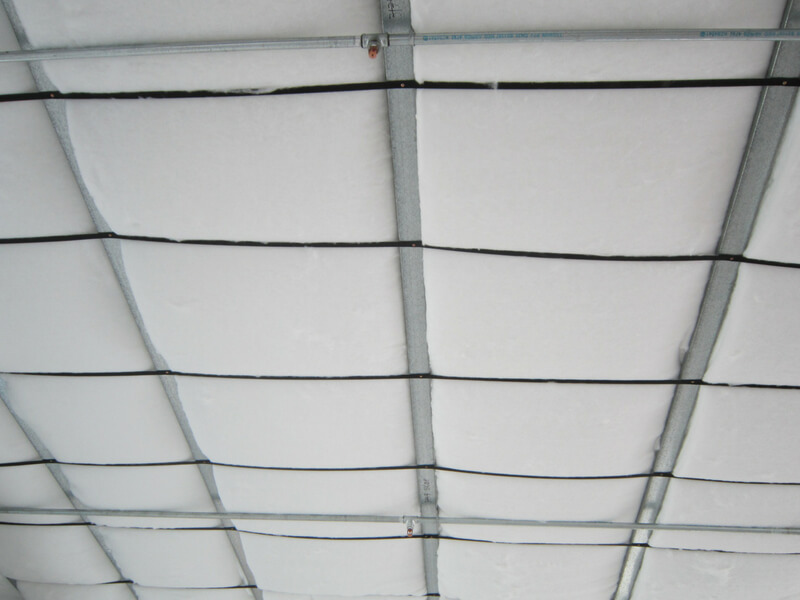 Polyester ceiling insulation installed pre-lining in the Quad 5 offices.